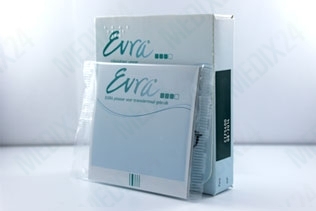 Evra patch is a birth control patch which is used to prevent pregnancy. 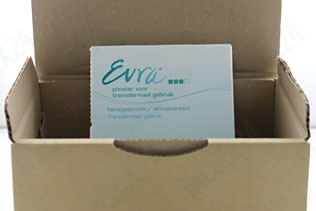 Evra patch is applied to the skin where it gives off hormones. You use 3 patches for 3 weeks (you change the patch every week) and subsequently add a patch-free week to allow menstruation. The Evra patch should be applied to clean, dry and hairless skin. Is a birth control patch as save as taking the conventional pill? 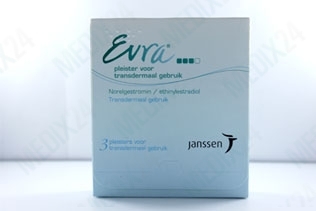 The Evra patch contains two hormones, norelgestromin and ethinyl estradiol, and thereby prevents pregnancy in the same way as a contraceptive pill. You have to remember however to take the pill daily, whereas you only have to change the patch once a week. The hormones in the Evra patch are transferred through the skin, therefore it is not negatively influenced by vomitting or diarrhoea whereas the pill is. Make sure to list any other physical problems or illnesses on the questionnaire so it can be determined whether you can use Evra patch. The Evra patch should not be used by pregnant women. Please consult the patient information leaflet for a full list of known side effects of the Evra patch.